Topics: Academia, Mediapros Website, and E-commerce Web Design. 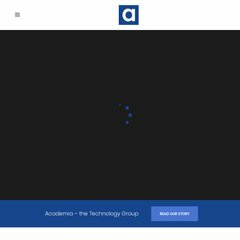 academia.co.uk Further & Higher Education Store | Academia Ltd | Educational ..
academia.co.uk Educational Software & Hardware for Primary Schools, Secondary ..
281 users visit the site each day, each viewing 1.70 pages. It is written for ASP.NET language. It has 3 DNS records, ns2.purenethosting.co.uk, ns5.purenethosting.co.uk, and ns1.purenethosting.co.uk. It is hosted by Dedipower Cloud S1 (England, Reading,) using Microsoft-IIS/7 web server. PING www. (178.236.145.212) 56(84) bytes of data. A ping speed test response, is timed at 99.1 ms.